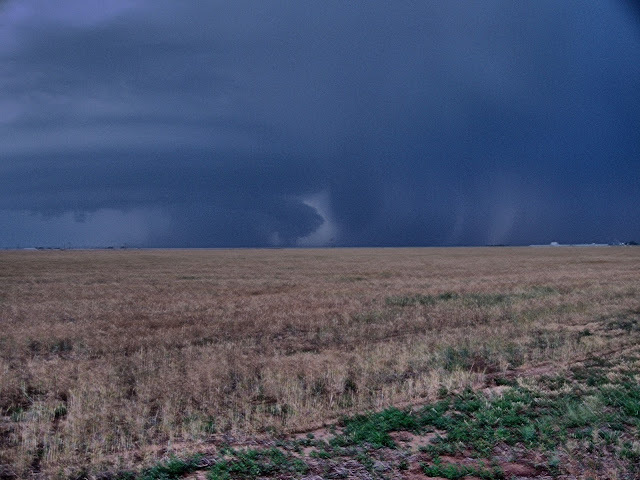 A couple of pictures from Gene's solo chase to the western TX panhandle on May 21, 2012. 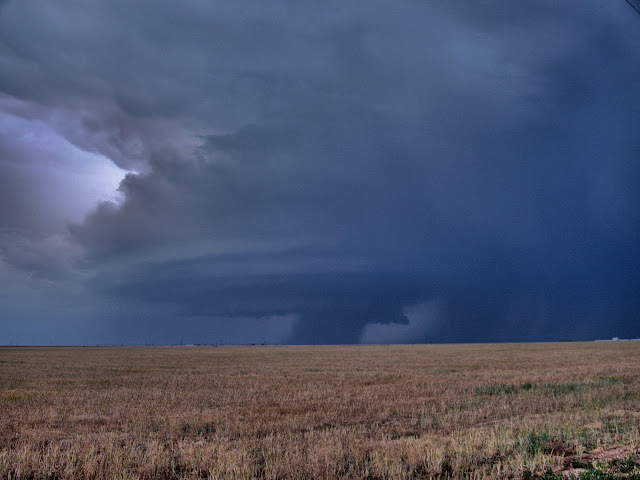 A patient wait eventually resulted in a slow-moving supercell with wonderful structure and a brief tornado near Adrian, TX to top off the day. Not much to report since I stayed in the same area near Adrian and Vega for most of the afternoon patiently waiting for a supercell to make an appearance on a subtle N-S boundary. Nearly gave up the wait at about 7:00 pm. Supercell shot from about 8:32 CDT and the tornado shot from just after 8:37 CDT.